Grease and line a 10cm x 20cm (4×8-in) loaf pan with aluminium foil. To make brownie, melt chocolate and butter over low heat. Remove and leave to cool slightly. Stir in brown sugar until blended.Add in egg, mix well. 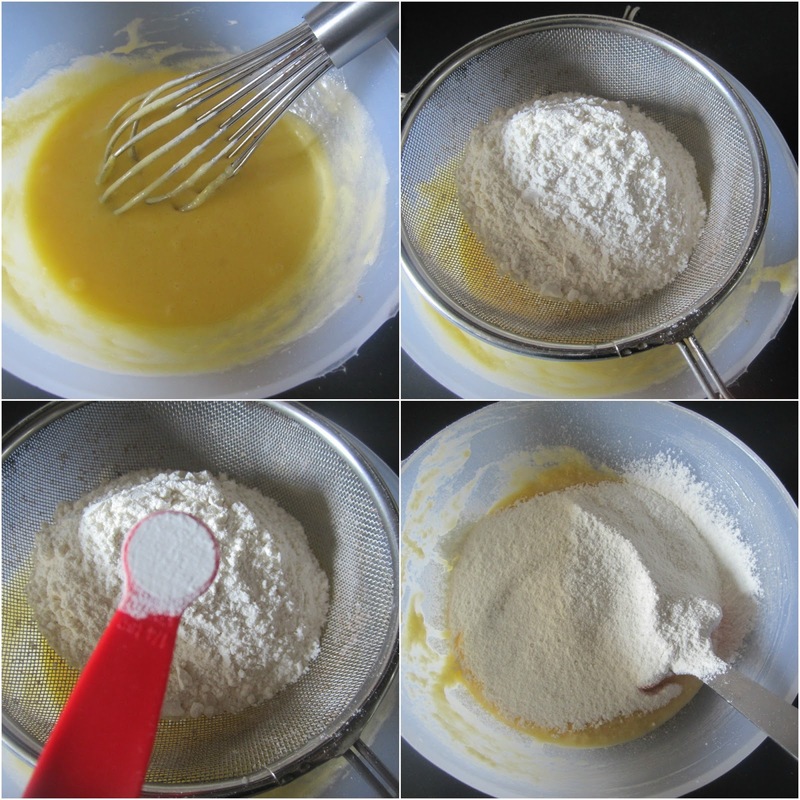 Fold in flour, mix until well combined. Pour batter into prepared pan. 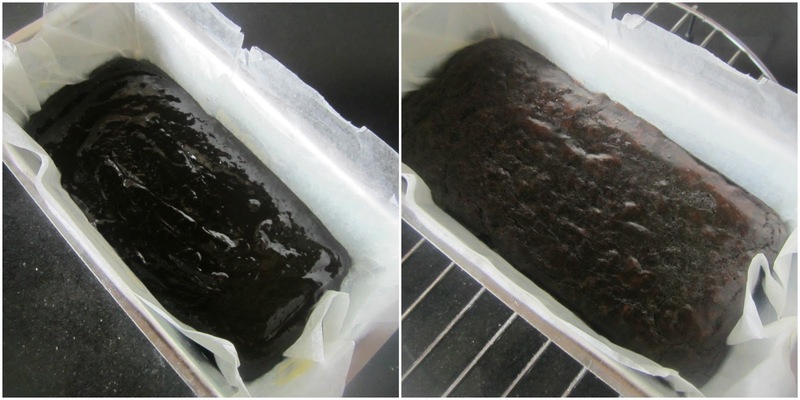 Bake in preheated oven for 15 minutes. Remove. To make butter cake, beat butter with sugar until creamy. 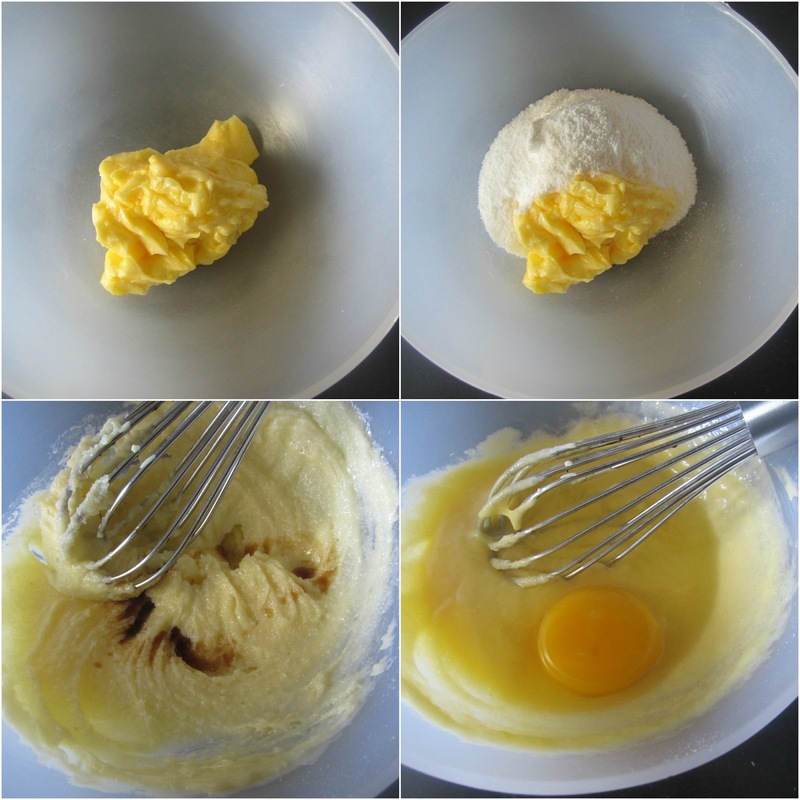 Add in eggs, one at a time, beating well after each addition.Mix in vanilla. Fold in sifted flour and baking powder, alternately add in fresh milk, mix to form batter. 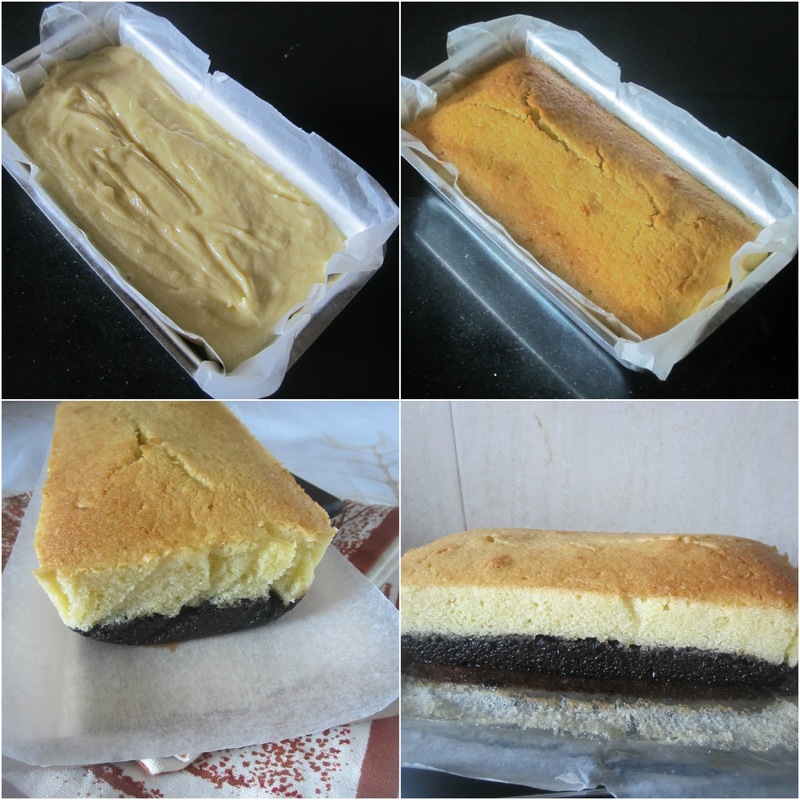 Spread the butter cake batter over brownie, bake in oven at 160C/320F for 25-30 minutes or until cooked. 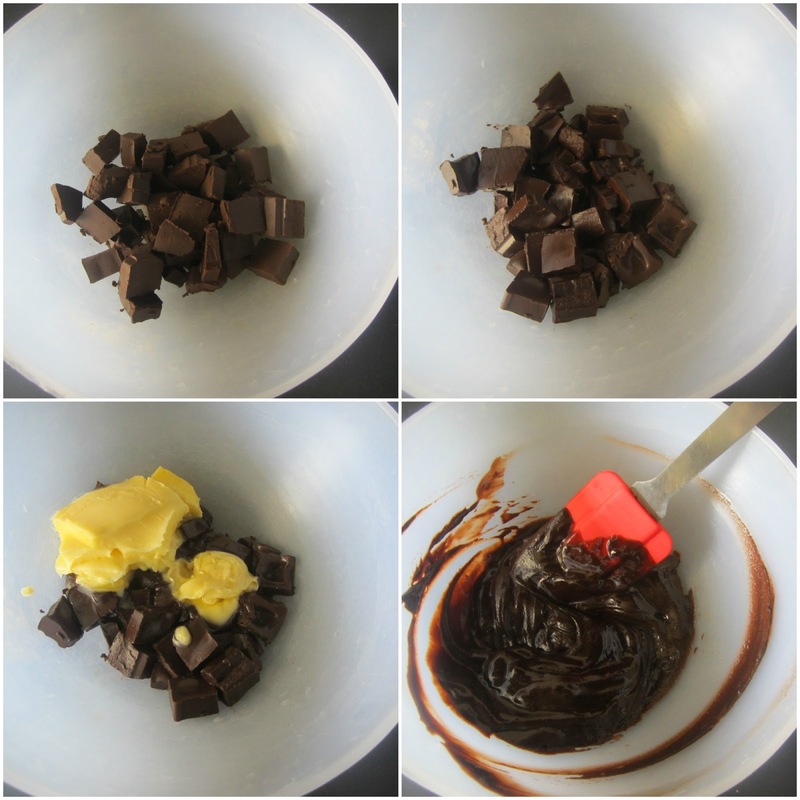 Insert a cake tester in the middle to check doneness. 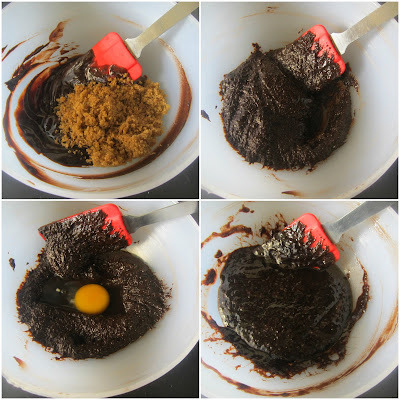 I was apprehensive to add the cake batter on top of the hot brownie.So I waited till the brownie was outside the oven and then started with preparation of the cake batter. 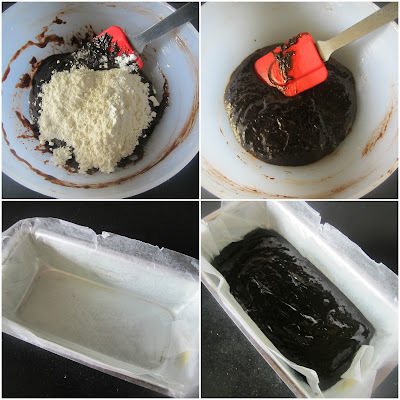 The cooking time mentioned for the brownie was not enough for me,my brownie remained gooey after 15 minutes,I baked for a further 10 minutes than specified in the recipe. The original recipe does not call for vanilla,I added it as I was afraid if not the cake may smell eggy. 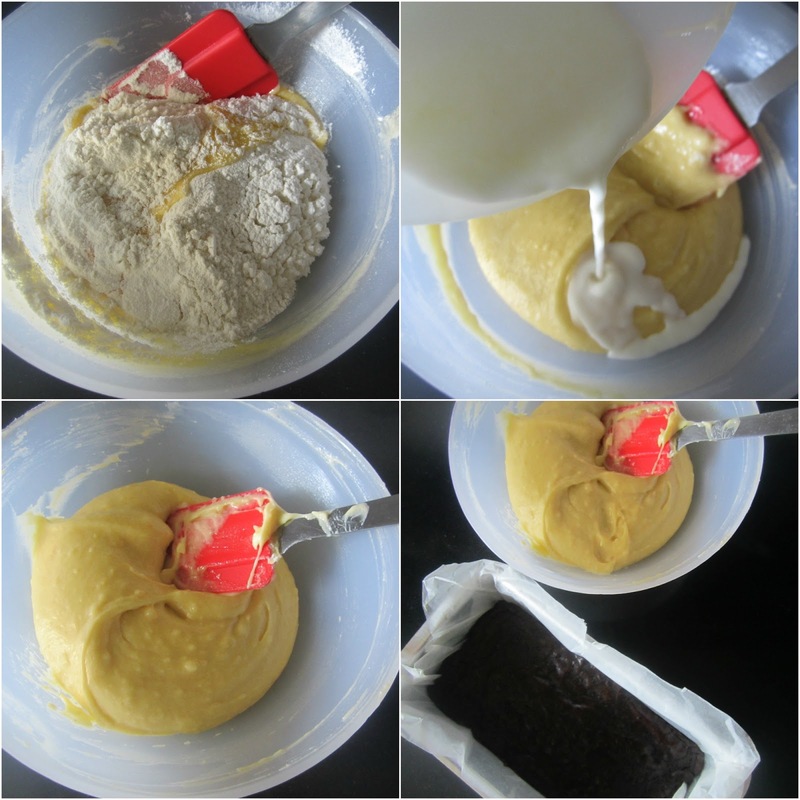 It is easier to cut the cake when it is completely cooled.You may even refrigerate before cutting to get neat slices. These days,I finish all cooking when Li'l Arjun is asleep.So mostly by 4 in the evening my chapathi dough is kneaded and ready so is the curry/sabzi.It also helps that I get to cook/photograph the same and hopefully it appears here,sooner or later. 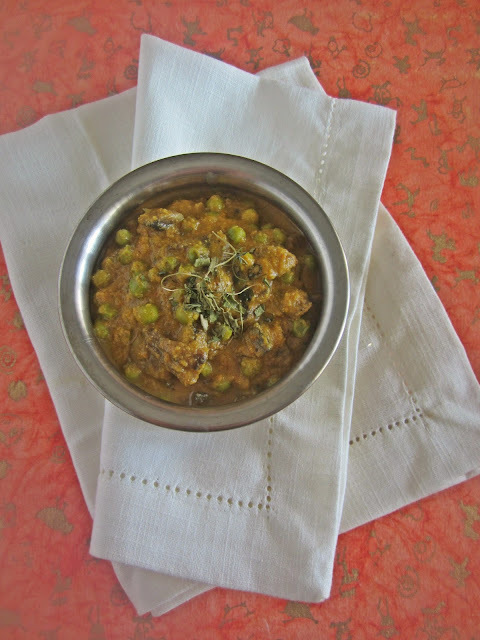 Mushroom Matar Masala is without doubt a delicious combination of the two in a creamy tomato gravy.It goes perfectly well with hot chapathi as well as some lightly spiced rice with a simple raita by the side. Soak cashews in hot water for 15-20 minutes. 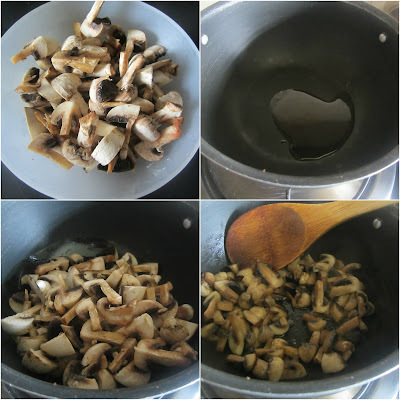 In a kadai heat 1 tbsp oil and add the chopped mushrooms and saute till the mushrooms release water and turn golden brown.Remove and keep aside. 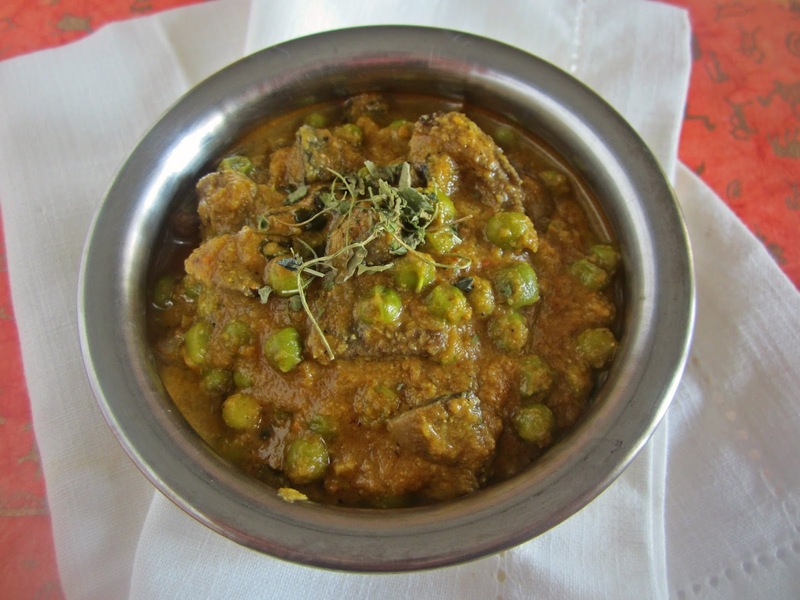 Cook the peas and keep aside. 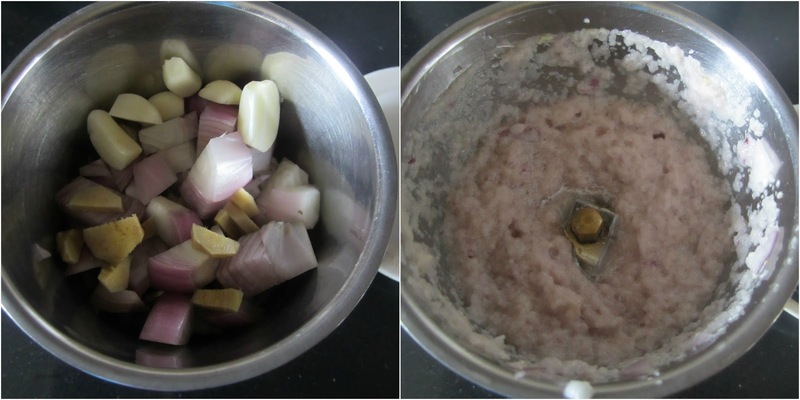 Make a paste of onion,ginger and garlic using 1 tbsp water,reserve. 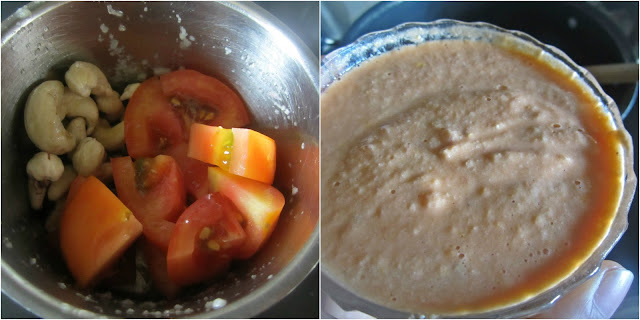 Drain the soaked cashews and make a paste with tomatoes till smooth and creamy,there shouldn't be any cashew bits or tomato pieces. In the same kadai,add the butter and tej patta/bay leaf. 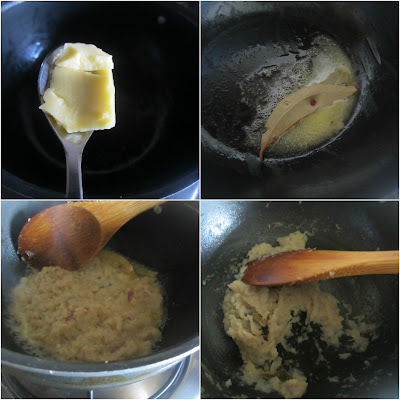 Add the onion-ginger-garlic paste and saute till it dries up and becomes golden brown in colour. Then add the tomato-cashew paste and saute till oil leaves the side of the paste. 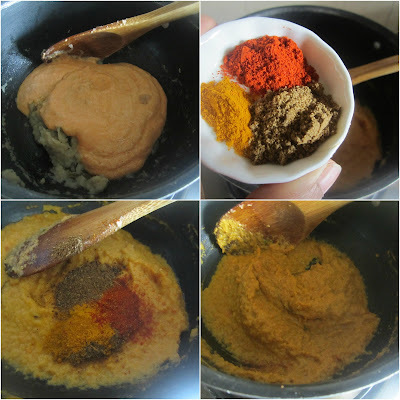 Add the spice powders-haldi,red chilly,coriander and garam masala. Stir and saute for 2-3 minutes,then add the water,salt and sugar. 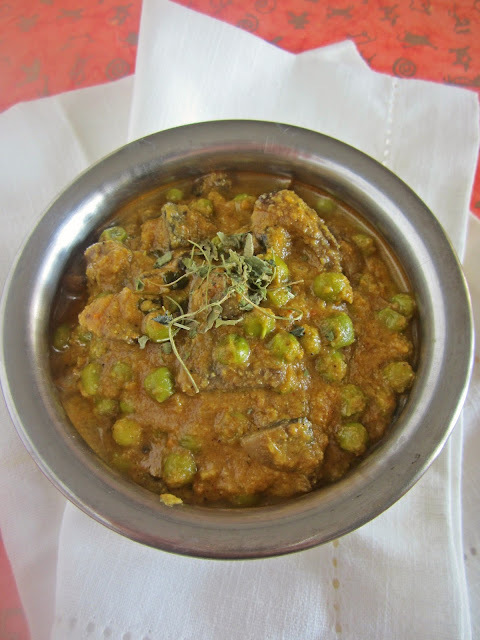 Mix in the mushroom and matar and let the curry come to a boil.Simmer and cook for another 2-3 minutes and then add crushed kasuri methi. Switch off the pan and serve hot.